America goes to vote on November 6, in a mid-term non-presidential election whose outcome is likely to impact the housing market in more ways than one—much of which will depend on who votes during this election, especially since early voting is already open. According to a new report on voter demographics by Apartment List, homeowners are more likely than renters to be voting eligible and historically speaking, the report revealed, even among eligible voters only 49 percent of renters cast a ballot in 2016 compared with 67 percent homeowners. The first issue that Sharga mentions is one that the current administration has clear views about. After a decade under the Federal Housing Finance Agency’s (FHFA’s) conservatorship, the current administration has indicated its intentions to end the conservatorship for Fannie Mae and Freddie Mac. In a recent memo Laura S. Wertheimer, Inspector General at the FHFA, identified four serious management and performance challenges that the agency faced in its role as a regulator and supervisor of the government-sponsored enterprises (GSEs). They included, the agency’s inability to improve oversight of both GSEs while strengthening internal review processes for non-delegated matters; upgrading supervision of the GSEs and Federal Home Loan Banks; oversight in cybersecurity, ensuring an effective information security system will protect the highly sensitive data gathered by the GSEs on borrowers; enhancing oversight over the GSEs’ relationship with counterparties and third parties. 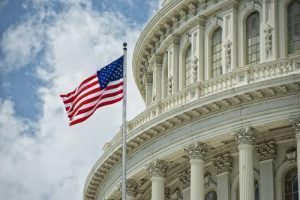 Recent reports also point to the fact that the idea of scaling back Fannie and Freddie without legislative approval is gaining traction, making the results of this mid-term election even more important in determining their fate moving forward. The stewardship of the Bureau of Consumer Financial Protection (BCFP) is another area that is likely to get affected by the election results. “Who replaces Director Mulvaney—and whether that new director will continue to take the Bureau in the same direction—will depend to a certain extent on which party controls the House and Senate. A more stridently conservative director, for example, is unlikely to be approved by a Democratic House,” Sharga said. Affordable housing legislations are also at stake this election season, with the success of bills such as the Affordable Housing Credit Improvement Act, the New Markets Tax Credit (NMTC) Extension Act, the Historic Tax Credit (HTC) Enhancement Act, and others depending on who wins the House and Senate seats. Nine months in, the Tax Cuts and Jobs Act of 2017 appears to have had an impact on home value growth. Some of the changes brought by the December 2017 Act were a $10,000 cap on total state and local tax (SALT) deduction, lower threshold for full mortgage interest deductions, and higher standard deductions for most filers. According to a report by Zillow, following the introduction of the Act, home growth appeared to have slowed particularly in areas with homeowners that historically used the SALT deduction, compared to areas with a lower percentage of homeowners who use the SALT deduction. However, a lot of this will depend on which party has the power to make these changes, since the Republicans and Democrats have widely different views and approach on the challenge of affordable housing and how to solve it. On the other hand, Democrats have lobbied for more funding to help low-income families pay for housing. Citing a Pew Research Sharga said that 38 percent of renters paid more than 30 percent of their pre-tax income for rent, and 17 percent paid more than 50 percent. “Democrats have also proposed a variety of other programs to reduce housing costs, ranging from rent control to tax incentives for builders to build more affordable units, to having the government build millions of units across the country, or creating a pool of federal funds to reward states that build more housing stock,” Sharga said. For now, though, it’s time to keep your eyes peeled on Capitol Hill to see who wins the Battle of the Houses to chart the future course of the housing market.